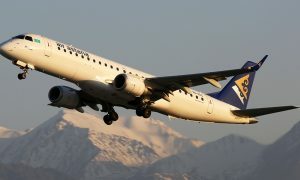 Air Astana, the national carrier of Kazakhstan, is scheduled to re-launch direct daily flights from Almaty to Dubai, the largest city of the United Arab Emirates on 1st September 2014. 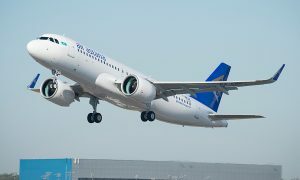 The existing four days a week service from Astana to Abu Dhabi will also continue to operate, with both services to the UAE being performed by Airbus A320 family aircraft, which are the youngest in the airline’s fleet with an average age of less than two years. Flights from Almaty to Dubai International Airport (DXB) will depart on 07:55 and arrive 10:30 at Terminal-1 and the return flight from Dubai to Almaty will depart at 11:25, 11,40 and 12.10. Economy class return fares start from US$401 and business class return fares from US$ 1,769 including all taxes. Kazakhstan recently announced a visa waiver programme for tourists from 10 countries, including nationals of the UAE ,who can now enter Kazakhstan without any prior notification. 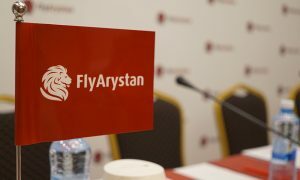 Air Astana offers an online visa application facility for Kazakhstan tourists visiting the UAE.